Earlier this year, I had the opportunity to attend the Uniendo America Project Fair, an annual event hosted by Districts 4240 and 4250. 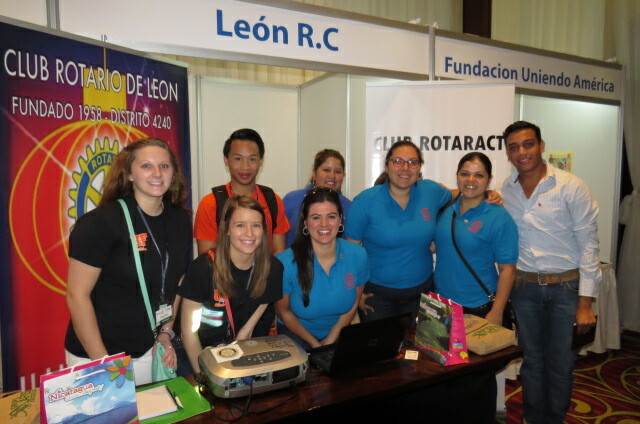 The three day fair celebrates Rotary’s commitment to humanitarian service with the host districts’ clubs showcasing their projects to international counterparts. 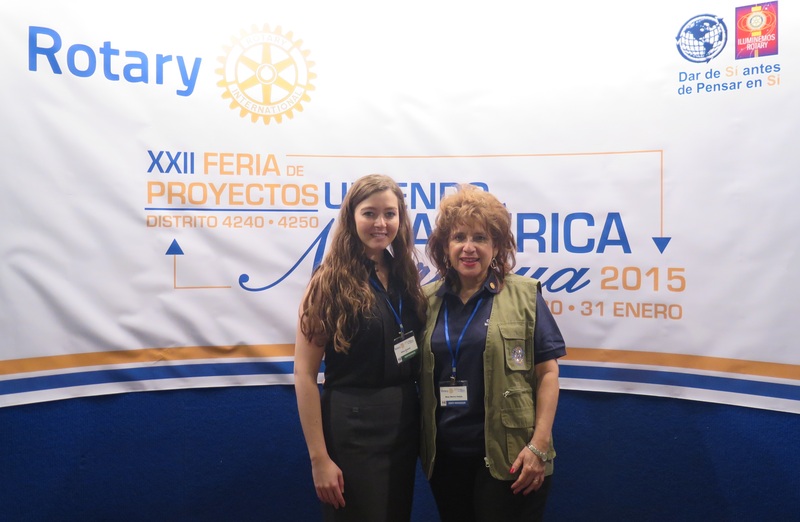 Project fairs are unique opportunities for international visitors to experience the local culture and learn about existing assets and challenges faced by the region’s communities while facilitating international partnerships between Rotary members. 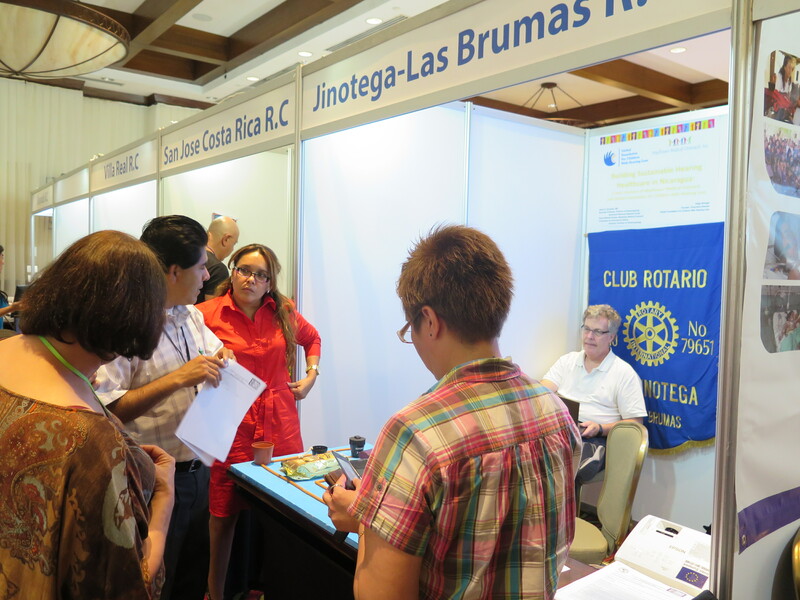 40 exhibitors and more than 100 international visitors participated in the 2015 Uniendo America Project Fair, hosted in Managua, Nicaragua. The long weekend was filled with reunions between old friends, insightful presentations about humanitarian projects, and productive meetings outlining opportunities for long-term international partnerships. Returning visitors arranged site visits to projects their clubs had previously supported and many first-time visitors organized service projects in partnership with local clubs while in Nicaragua. The hosts also arranged cultural shows and dinners to ensure visitors got a true taste of Managua. Project fairs provide life-changing opportunities for participants to learn about the host region, immerse themselves in a different culture, connect with local clubs in need of partners, and build lifelong friendships. No two project fairs are alike. The annual Uniendo America, Europe, and West Africa fairs are hosted in a different country every year as project exhibitors come from multiple countries and the events strive to give visitors an opportunity to learn about new communities throughout the host regions. Alternatively, the Ecuador Project Fair is annually hosted in Quito, a convenient gathering location for the district’s exhibitors and a great opportunity to strengthen the district’s international relationships from year to year. This made me think that maybe one of the things we could do at the Ball Drop is host a Community Service Project Fair. I’m not sure how to do it, but what a great idea!!! (Not just because I thought of it. )😊 But it might be a great way to make the public and businesses aware that Rotary is available to help in our local community. If interested I think we could brainstorm this with others like Joe Woodward and Roberta Franco from the Salvation Army. Your thoughts? Rotarians what are your thoughts on Project Fairs? This is a great article. Please advice what current and upconming projects Rotary Club will have in the Eastern Cape South Africa. As explaibed by the Sport Arts and Recreation department helpdesk the Rorary Club will host the street fastival event in Uthenhage Eastern Cape South Africa for the weekend of 30November 2018- 02December 2018. My aim is to assist as a service provider in the weekends event. Activities like the waste management and housekeepings of the event. Also we can assist in any urgent demands because we immediately available. Hello! Thank you for reaching out to us. The next upcoming Project Fair in Africa will be in Mombasa, Kenya from 2-5 May, 2019. The following fair will be in Liberia in the fall. We encourage you to work with these fairs to further promote your work. More information on project fairs can be found here: https://my.rotary.org/en/exchange-ideas/project-fairs.